Struggling to declutter? 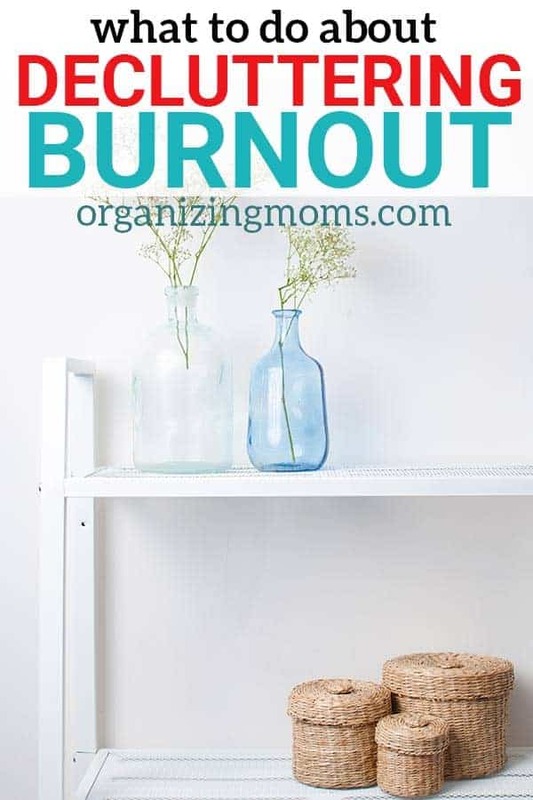 Experiencing decluttering burn out? After the enthusiasm of starting a new decluttering and organizing project has faded, we often feel defeated. But, we shouldn’t. Almost everyone loses motivation to declutter after some time. Read on to find out why that’s normal, and what you can do about it. Does this sound familiar? You are sick and tired of clutter, mess, and disorganization, so you commit to doing a MASSIVE decluttering of your space. Every day you’ll clear out huge amounts of stuff, while simultaneously keeping up with your all of your other responsibilities. You know it will be tough, but you don’t care. You are so fed up with the clutter in your life, and you want to get started NOW and start seeing results NOW. You start out strong. You’re motivated and inspired, and you can already see that your house is more calm and organized. But there’s more to do. So you carry on. Even though you’re exhausted. And then one day, you hit a wall and you just can’t do it any more. Maybe your kids are sick. Your schedule just got a lot more full. Or you have to travel for work. Or you’re sick. A family member needs your help. You simply don’t have the energy to keep decluttering at the same pace. And now you’re feeling defeated because you think you’ve failed at decluttering. Maybe this isn’t the first time you’ve quit a decluttering or organizing project. You wonder if you’re doomed to just live in clutter and disorganization forever. You feel rotten. This is NORMAL. Life happens. Enthusiasm fades. Energy dwindles. Unless you’re a professional organizer, having decluttering be your top priority long-term is just unrealistic. And kind of boring. 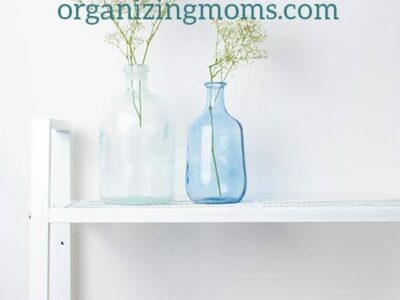 Decluttering and organizing is a marathon, not a sprint. They are skills that you’ll build over time with practice. Sure, you can do some “sprint training” with big decluttering sessions, but you’re still going to need to maintain and revisit different areas of your home on a regular basis. With practice, you’ll get better at it, and it will be easier. You’ve already made progress – don’t forget about it! Just because you didn’t finish a huge project doesn’t mean you didn’t make progress at all. Remember what you’ve already done, and know that you can build on those wins. It’s okay to take a break. Maybe you’re just over the idea of decluttering one more thing, but you see so much more that you need to do in your home. That challenge you signed up for? It’s not going anywhere. Maybe you signed up for some kind of a decluttering challenge or course, and you feel guilty about not completing it. Guess what – it’s not going to just disappear! Save the emails for later. Save your login info for courses you planned to take, and revisit them later. It’s okay. You will get motivated to declutter and organize again. Even if it doesn’t feel like it right now. Most people get hit by the urge to tidy up at the start of the year, in the spring, and during back-to-school season. Plan to capitalize on that motivation when it strikes! Focus on a small area. Something like a drawer or a countertop would be good. Declutter that space for 5-10 minutes a day, and then call it quits. You’re still making slow, steady progress, but it’s less likely that you’ll feel burnt out. Take before and after pictures. This is so motivating! When you can see the results of a few minutes of decluttering in a photograph, it gives you a boost, you feel productive, and you know you’ve accomplished something. Save those pictures as a reminder of your progress for when you’re feeling especially frazzled and unorganized. Work on making yourself feel better! If you stopped decluttering because you were tired, or burnt out, or just too busy, it may be a sign that you need to step back and take care of yourself. Or maybe you’re just in a very busy season. Take care of yourself. When you’re ready, find ways to get motivated to declutter. Blogs, YouTube channels, and books can help jumpstart your motivation and creativity. Even if you don’t take on a huge decluttering project at the moment, learning about decluttering and organization can help change your mindset. When you’re ready to get started again, here are some resources to help you feel more inspired to declutter and get organized. Space for YOU – A self-paced decluttering course. The goal of the course is to declutter. Work at your own pace with this course if you want a guide that helps you through decluttering obstacles and offers decluttering suggestions with big impact. Declutter 101 – How to Start Decluttering Without Feeling Overwhelmed – Good ideas for getting started! 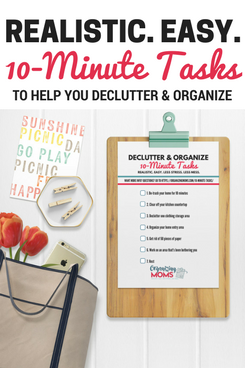 10-Minute Decluttering and Organizing Tasks – These have helped thousands of readers like you kick-start their decluttering.